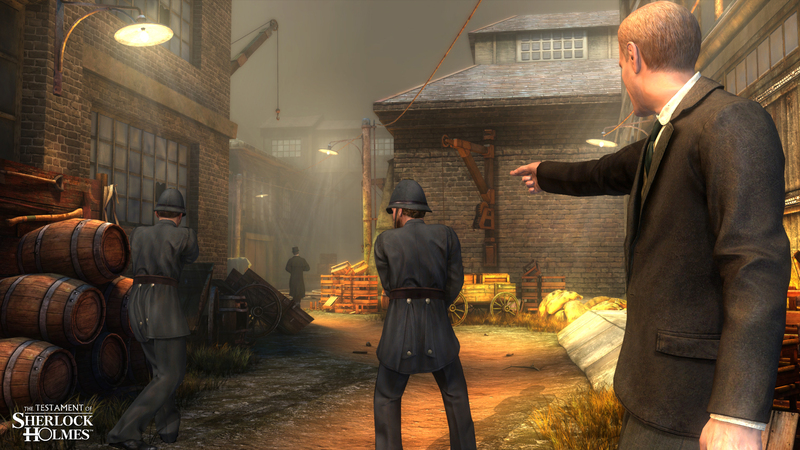 PARIS – Jun 1, 2012 – Conspiracy, descent into hell, murders and treasons…these are just a taste of the new investigations for Sherlock in The Testament of Sherlock Holmes – this is what the brand new trailer offers you today! This beautiful video will give you a larger preview of the game, its dark ambiance, and its strong story centered around a controversial hero with obscure motives. This is a thrilling investigation that players will have to lead,taking turns as playing both Holmes and Watson. Multiple bloody murders, a strange illness which started to plague the population of London… these are the cases they will have to investigate, all the while trying to discover the reasons behind the strange actions of Sherlock. The noose tightens around the detective… discover his dark side in this new video of his latest investigation! You are Sherlock Holmes, and these are your investigations. Unfold an incredible conspiracy on Xbox 360®, PS3 and PC in September 2012! 1898, London. All the evidence of police investigation points at Sherlock Holmes as the main suspect in a case involving theft, fraud and double-crossings. Unable to prove his own innocence, Holmes is rapidly losing London’s trust as doubt spreads through the city like wildfire. Even Doctor Watson’s faith in his friend begins to waver, as the famous detective flees Scotland Yard and raises further suspicion; prowling around at night, destruction of evidence… would Holmes go so far as to commit murder? 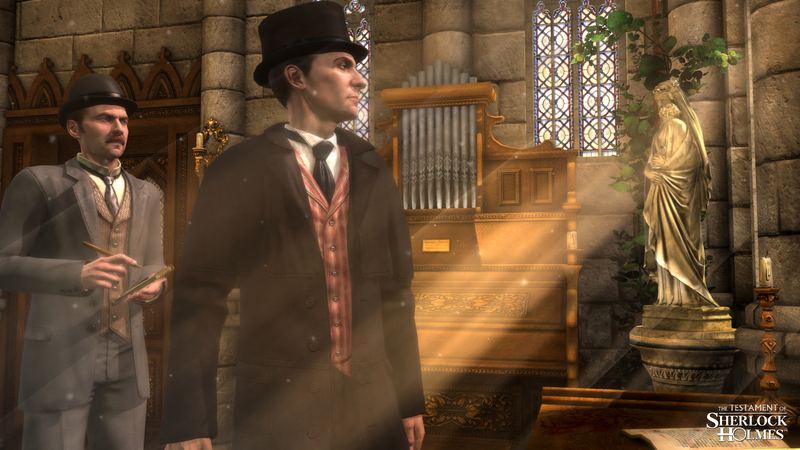 A mainstay genre of console games, The Testament of Sherlock Holmes is playable with a gamepad in a third person view, with controls thought and specially developed with consoles in mind. The new game engine was also specially built to display complex scenes and high-resolution textures. The game features lush, captivating environments and truly raises the bar for console adventure games. The complex and decidedly-mature storyline surrounds a particularly tricky investigation, in which each and every puzzle will challenge both insight and wits! As Sherlock Holmes, you will use the detective’s full repertoire: handle and inspect clues, reenact crimes and use the game’s new deduction system to draw your own conclusions. Choose your questioning approach to catch characters off guard and gather valuable information. Players are facing an open investigation, and must decide which leads to follow and which to ignore.